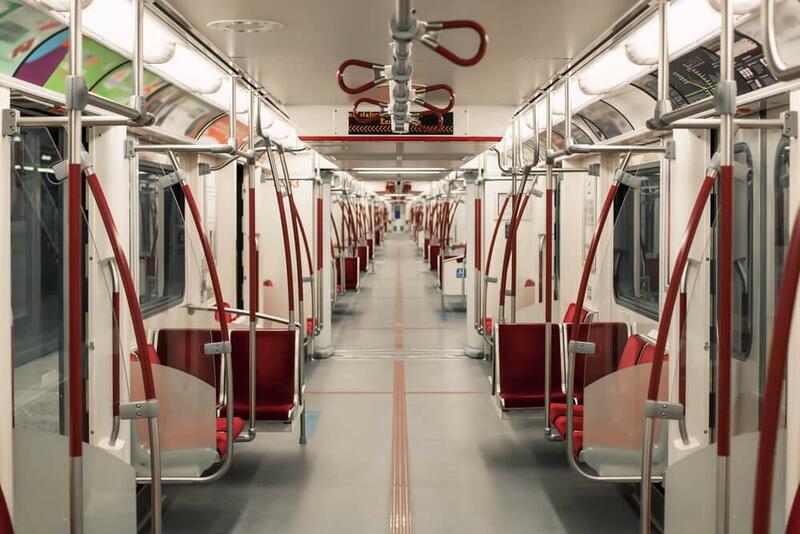 The provincial government announced new funding for new transit projects in the Greater Toronto Area, and it’s supposedly the largest investment ever to get new subways built. There are four transit projects that will cost a total of $28.5 billion, of which the province is providing $11.2 billion. The government says they had committed to $5 billion, so this announcement exceeds expectations. "Our government is investing in transportation to bring relief and new opportunities to transit users and commuters," says Premier Doug Ford. "We announced the new Ontario Line to deal with the dangerous congestion on Line 1, the Yonge North Subway Extension that will connect the subway to one of the region's largest employment centres, the three-stop Scarborough Subway Extension to better serve communities, and the Eglinton Crosstown West Extension — a large portion of which will be built underground to keep people and goods moving on our roadways. This is our plan, our priority." The Eglinton Crosstown West Extension will go to Pearson Airport, which makes sense for people living far north of Bloor who want to leave the car at home when travelling. The Ontario Line will stretch from Exhibition up to the Ontario Science Centre on the Eglinton Line. The Ontario Line will cost $10.9 billion and is scheduled for completion by 2027. The Yonge North Subway Extension is expected to cost $5.6 billion and is expected to be completed soon after the Ontario Line. The Scarborough Subway Extension will cost $5.5 billion and be ready for transit riders before 2030. The Eglinton Crosstown West Extension will be the last of the four completed, scheduled to open before 2031 and will cost $4.7 billion. These estimated costs add up to $26.7 billion, so we’re not entirely sure where the $28.5 billion total came from (maybe the Sheppard East Extension mentioned in the live announcement was forgotten in the press release? ), but nonetheless it’s a lot of money and more transit equals more opportunity for new housing development. This government announcement caught our eye because we recently posted about a Centre for Urban Research and Land Development report about the importance of transit oriented development. CUR says there are 200 major transit nodes in Ontario that have unmet development capacity, mostly due to outdated zoning prohibiting high density housing. It’s believed that these transit nodes could accommodate 4 million new housing units via missing middle development, which would help balance out supply and demand. Now’s the time to plan ahead. We hope that zoning bylaws can be updated as transit is developed to allow for a quicker housing development application process. As a side note, the Ontario government also mentioned again that the province is working with the City of Toronto on the TTC upload. Details of this arrangement are still foggy. "The TTC is a vital service that supports not just Torontonians but the people of Ontario," says Jeff Yurek, Minister of Transportation. "Our government is continuing to work in good faith with the city under the Terms of Reference to make sure that we can build better transit faster."